There’s nothing quite like sitting around a campfire and hearing a spooky story. Even better if you’re at a firepit on the beach at sunset — and the ghostly element of the tale is a selkie, a mythical creature that’s a seal in the water, but can shed its skin and take human form. Female form. As the evening darkens, so does the narrative. There were chairs circling the firepit, and blankets to borrow. The chill of the early spring evening matched the bite of the story — about women, water, mothers, daughters and sisters. A fateful night, a lifetime of lingering regret. Secrets held and strange stories told to a young girl. Quinn grows up knowing very little about her mother; she hungers for more, though they’ve been estranged for years. Now, hearing that her mother is dying, she goes back to the seaside home of her youth, to be a caregiver and to learn what she can before it’s too late. Quinn’s recollections open and close the piece, which comprises a series of three intriguing, interconnected monologues that keep circling back to selkies, their skin, and the one night that so deeply affected these lives. Idaszak’s writing is often beautiful, lyrical and evocative. But she could trust her audience more, and not feel she has to spell things out or give direct information that can be inferred. What most captures the imagination is the eeriness of the events and the three different perspectives on the past. Under Jopson’s direction, the three performances (Sarah Halford, Claire Kaplan and Susannah Rea-Dowling) are potent, and at times, spine-tingling. The third of three San Diego performances included considerable miking problems, and the amplification itself tended to distance the listeners from the storytellers. But it was magical when they darted toward the ocean and disappeared into the blackness. The sound may be more controllable indoors (there are two performances, April 15-16, at Westmont College in Santa Barbara), where there’s no competition from the surf. 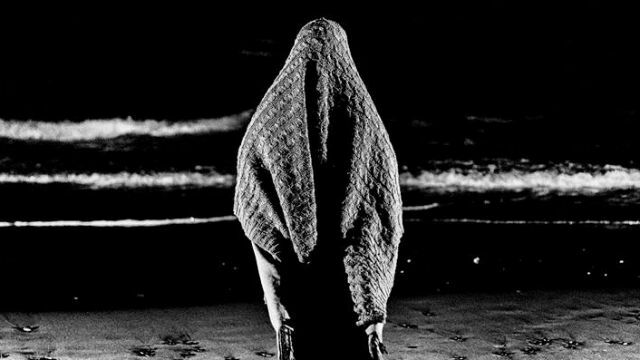 But the beach setting is perfect for this fascinating and haunting play. You may never see seals the same.